The Bank of America Chicago Marathon is now the largest running event in the world to be certified as sustainable. Marathon officials announced Friday that the race received Silver Level Certification status from the Council of Responsible Sport for achieving 41 "best practice standards" as part of a certification program for social and environmental responsibility at sporting events. The marathon is the second largest in the world, with 40,659 participants finishing in 2014 in front of more than one million spectators. It is the largest event to receive the certification. 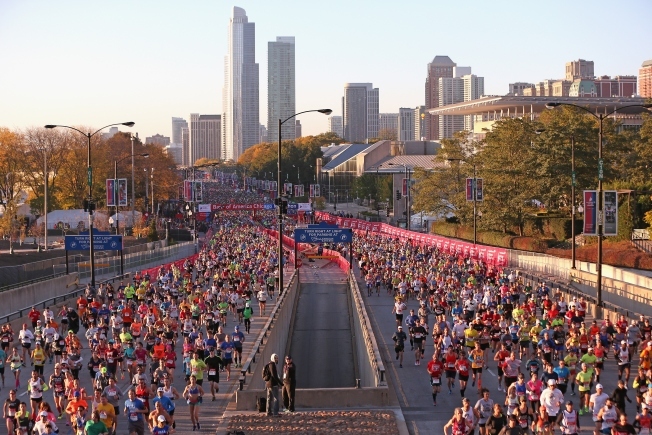 “The Council is both impressed by and grateful for the dedication of the Chicago Marathon to being a global leader in the movement towards greater responsibility in sport,” Shelley Villalobos, certification director for the council, said in a statement. As Chicago Marathoners continue their training programs, it's important for them to effectively manage any aches and pains that develop as their runs get longer. The marathon was noted for having all participant T-shirts made from 100 percent recycled polyester fibers, holding their fitness expo at McCormick Place-- the world’s largest convention center to be a certified sustainable venue -- and for having more than 60 volunteers dedicated to overseeing material collection and waste diversion at the event. The marathon is in its 38th year. 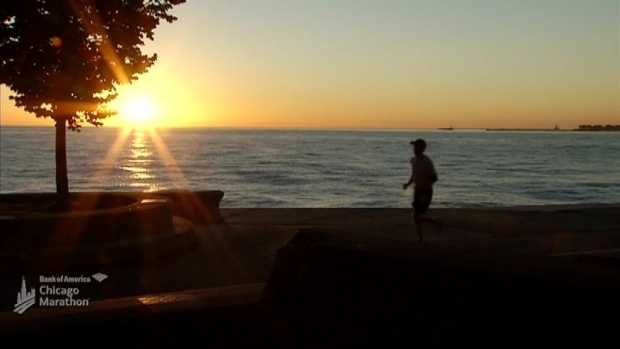 The 2015 race will take place in Grant Park on Oct. 11. In Marathon Training Tip 9, the benefits of keeping a training journal is discussed. Last year, an estimated 1.7 million spectators lined the street to cheer on a record 40,659 runners.